Lyon Eats: Found: ground cloves! Maybe I'm just blind, but I have looked and looked for ground cloves and never found them in the five years I've been in Lyon - until this week, that is. 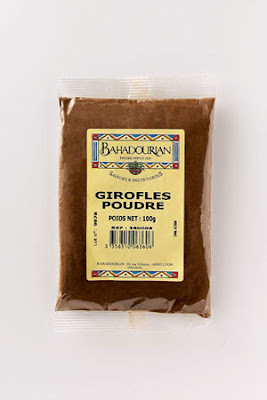 Bahadourian sells a 100g bag for only €2.95, both in their stores and online. Pumpkin pie, molasses spice cookies, and better zucchini bread... here I come!